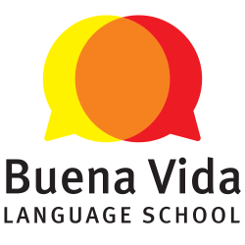 To participate in the contest, post a photo or video on the Buena Vida Facebook page of yourself using your new Spanish skills. This can be a picture of yourself in class, a video of you chatting with your neighbors…the possibilities are endless. Be creative though, because the most creative post will win the Spanish Language Lessons being offered by Buena Vida Language School. The contest runs from April 15 – 30, 2015, and the winner will be announced the week of May 3rd. And Great NEWS! 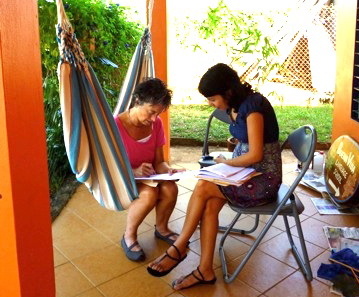 If for any reason, you currently can’t travel to Pedasi, Panama to learn Spanish, you can still have the same highly qualified, experienced, enthusiastic, native Spanish teacher right in your home or office. How? Over Skype! This contest is open to legal residents of their respective countries where not prohibited by law. Buena Vida has the right to verify the eligibility of each entrant. This contest is in no way sponsored, endorsed or administered by, or associated with, Facebook. Any questions, comments or complaints regarding the contest will be directed to Buena Vida, not Facebook. The Contest begins at April 15, 2015 and ends April 30, 2015,. (“Contest Period”). All entries (submissions) must be received on or before the time stated during that submission period. Buena Vida reserves the right to extend or shorten the contest at their sole discretion. You can enter the Contest through the Buena Vida Facebook Page. Only one entry per person. All eligible entries received during the Submission Period will gathered at the end of the Submission Period and a winner will be chosen at based on creativity. The winners will be announced on or about May 5, 2015. Announcement will be made on Facebook and the winner contacted by private message. If a potential prize winner cannot be reached by Administrator within five (5) days, using the contact information provided at the time of entry that potential prize winner shall forfeit the prize. Prizes may not be awarded if an insufficient number of eligible entries are received. Grand Prize: 4 private or 12 group classes at Buena Vida. Prize is non-transferable. No substitution or cash equivalent of prizes is permitted. Buena Vida is not responsible for any typographical or other errors in the offer or administration of the contest, including, but not limited to, errors in any printing or posting or these Official Rules, the selection and announcement of any winner, or the distribution of any prize. Any attempt to damage the content or operation of this contest is unlawful and subject to possible legal action by Buena Vida. Buena Vida reserves the right to terminate, suspend or amend the contest, without notice, and for any reason, including, without limitation, if Buena Vida determines that the contest cannot be conducted as planned or should a virus, bug, tampering or unauthorized intervention, technical failure or other cause beyond Buena Vida’s control corrupt the administration, security, fairness, integrity or proper play of the contest. In the event any tampering or unauthorized intervention may have occurred, Buena Vida reserves the right to void suspect entries at issue. Buena Vida and any telephone network or service providers, are not responsible for incorrect or inaccurate transcription of entry information, or for any human error, technical malfunction, lost or delayed data transmission, omission, interruption, deletion, line failure or malfunction of any telephone network, computer equipment or software, the inability to access any website or online service or any other error, human or otherwise. Prizes are valid for one year from distribution. By participating, each entrant grants Buena Vida permission to use his/her name, likeness or comments for publicity purposes without payment of additional consideration, except where prohibited by law.